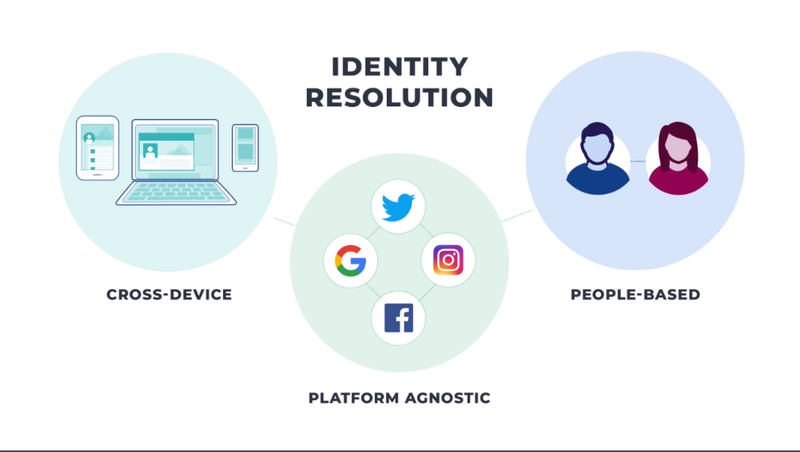 Identity resolution makes it possible to treat any prospect as a person, as an individual, whether they’re using their laptop desktop tablet or phone and whether they’re on a platform like Facebook searching for information on Google reading the news on their local newspaper’s website or watching a YouTube video. You’ll know who they are and can treat them the way they want to be treated. Not as a number, not as an anonymous visitor to your website or someone who happens to fit a demographic profile, but as a person. A demographic of one. 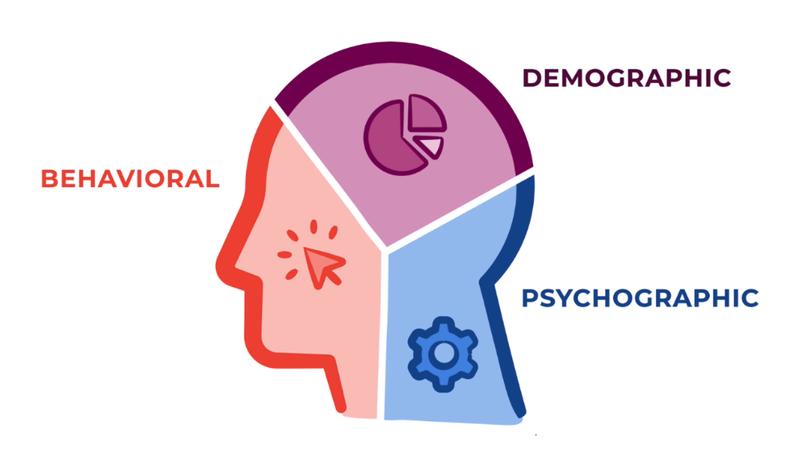 Identity resolution is also the only way that we can make sense of the massive amounts of behavioral data we generate: what we know about someone’s demographic and psycho-graphic profile. It’s the only way that we can know, not guess, that someone – let’s call him Bob – is actively pursuing a purchase of what you sell and it’s also the only way that you can reach Bob in the way that Bob likes and that makes sense to Bob. It’s estimated that an average person generates almost a gigabyte worth of data every single day. Data on what they’re searching for, reading, watching, sharing, posting, texting, buying and preparing to buy. But, data in and of itself means virtually nothing. it’s just data until we turn it into insight. When we can attach it to a person, when we can attach it to Bob. 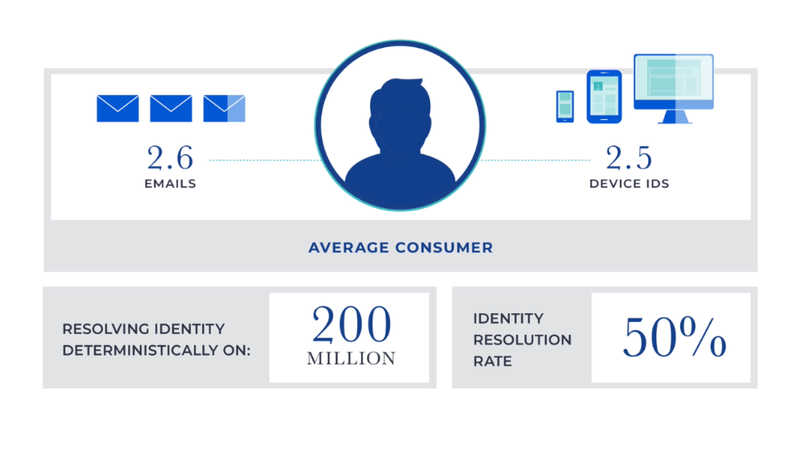 Our identity graph contains the deterministicly resolved identity of more than 200 million US consumers. This data is permanent and something you own and control forever. It’s not something that can be taken away or that disappears when someone clears their cookies or that an ad platform can hold hostage. In-fact it’s just the opposite because this data can be used to target Bob on any platform and on any device for as long as we want. You can even use it to find Bob offline: to send him direct mail or pick up the phone and call him.